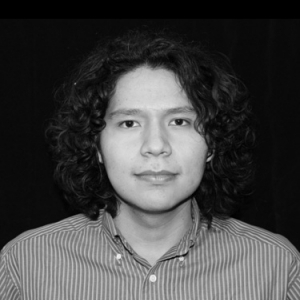 Hello I am Jesse Wabegijig and I am from WikemikongAnishnaabek Territory located on Manitoulin Island, Ontario, I am currently attending the Center for Indigenous Theatre. I have some prior experience and training from the Royal Shakespearean acting program at Stratford Ontario for two consecutive summers. I have always been interested in the preservation of our cultural heritage and that is why I have worked with the Debajehmujig group and have learned a lot since from my time spent there. I have grown tremendously since I have become a student. I have been given amazing opportunities to learn and grow in the last year through working with C.I.T.
After my three year program I want to contribute to the rapidly expanding body of work of Indigenous theatre and in turn help my community. It is said that the artist will bring back the souls of communities and I believe that wholeheartedly and art has kept me going and I want to share this with others. Theatre answers questions burning in the heart of our youth and takes away the emotion of being alone or feeling like they are the only ones who have experienced what they are. I will bring back everything I have learned and apply that to not only my community but in everyone that I possibly can. The biggest influence on me in the last year was the aboriginal summit by the name of “The Study” where I learned from veteran actors the trials and struggles they had to go through for us to advance as actors and the roads now paved for more opportunities. It is from this that I was certain that I was doing everything I could to help grow the Indigenous arts. This influence didn’t just come from this one event, I have been surrounded by the actors and writers from Debajehmujig since I was a child. It was my Godfather Jonathan Fisher who had the greatest influence on me taking this path and now it is one I truly desire to follow.